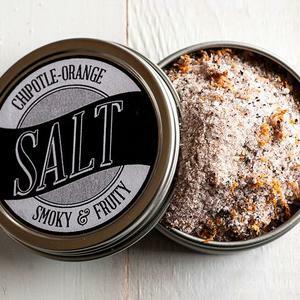 A spicy blend of sea salt, cayenne, chipotle, orange, garlic, and smoked paprika. Smoky and spicy and everything you have ever wanted. Hot Steve is a spicy salt with a hint of citrus and garlic. It spices whatever your heart desires with smoked paprika, chipotle, cayenne, garlic, orange and sea salt. Essential in rice dishes that need a kick Delicious on grilled chicken Perfect addition to chili Use it with any grilled meat or veggie Learn more about the masterminds behind this heat at Beautiful Briny Sea.